The law enforcement body responsible for the arrest of the ‘Queen of Ivory‘ earlier this month has officially arrested the notorious elephant poacher, Boniface Matthew Mariango. He is referred to by law enforcement officials as ‘The Devil’ or ‘Shetani’ in Kiswahili, and the manhunt has lasted for over a year. ‘Shetani’ was arrested by the National and Transnational Serious Crimes Investigation Unit (NTSCIU) on the outskirts of Dar es Salaam, Tanzania. 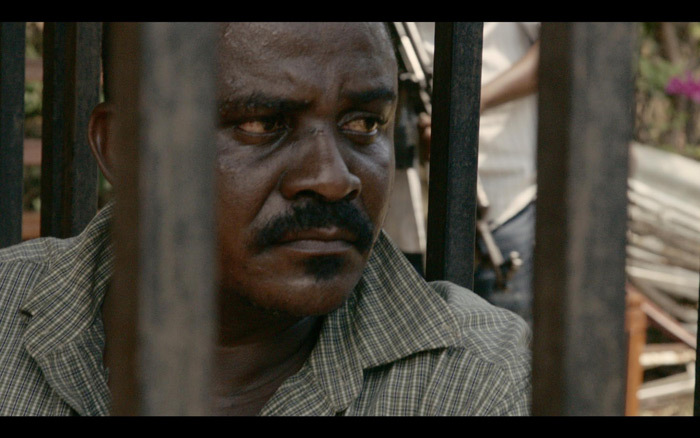 He is Tanzania’s “most wanted” elephant poacher and ivory trafficker, and he is directly responsible for the killing of thousands of elephants over the past years. The NTSCIU elephant protection project is financed by David Bonderman’s Wildcat Foundation through the PAMS Foundation in Tanzania. PAMS Foundation’s local partners are Askari Maritime Logistics and Team Rokka. The arrest of ‘Shetani’ as well as the arrest of ‘The Ivory Queen’ has been captured by an undercover documentary film crew, which has been working closely with the task force for many months now. The film is currently in production and slated for completion in 2016. According to the two directors of the film whose identities must remain anonymous for security reasons, the feature length cinema documentary, IVORY, produced by Terra Mater Factual Studios and Microsoft Co-Founder Paul G. Allen’s Vulcan Productions, will reveal the fight against poachers and traffickers across Africa and Asia like no other before.